See you in 2019! Happy Holidays to you and yours! 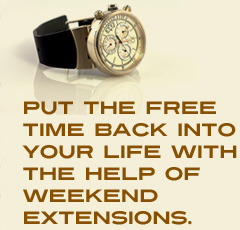 Weekend Extensions (WX) is a company born from its dedication to doing the job right the first time. Through the use of specialized equipment we will safely and efficiently do as the name implies; Extend Your Weekends! Please give us the opportunity to show you how enjoyable lakeside living should be. We are a professional, experienced and dedicated lake home service company serving the Brainerd Lakes Area for over 20 years. Please take a moment to view our variety of services and products offered to make all your lake visits enjoyable. While we specialize in being the best equipped dock and lift service in central Minnesota, we also offer a premier lawn care and snow removal service. We look forward to doing business with you.